TELL ME ABOUT YOUR DREAM HOUSE AND I WILL FIND IT FOR YOU! The houses you find on my website are only a small sample of the many houses I can provide. Through my extensive local network I am able quickly to find exactly the house that fulfils your dreams and needs. So the more you can tell me, the easier it will be for me to find the property of your dreams. Please don’t hesitate to call me. Projects for saleSee all our current projects for sale. We always have a lot of exciting projects to look at. Our previous projectsTake a look at some of our finished projects and get inspired to your next project. How we buildTake a look on how we build our projects. We only work with the very best local craftsmen. We specialize in the old rustic stone houses that are so characteristic of the area. We spend a lot of time finding the most attractive properties. 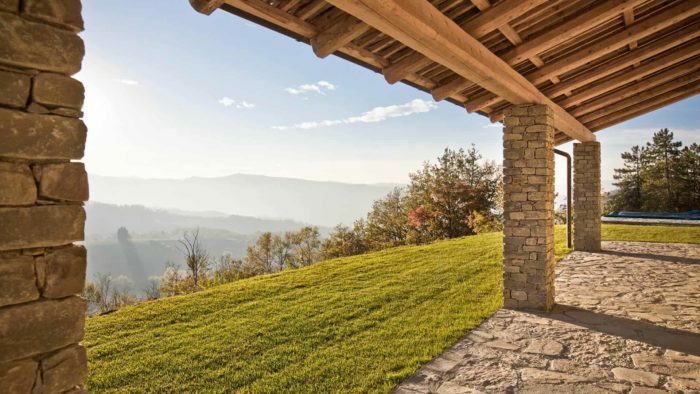 We are looking for unique and special places with spectacular views, peace and privacy and of course with the necessary permission that you can construct your Italian dream house. Once we have found your dream location, we consider it our duty to ensure as flexible and uncomplicated purchase process as possible. We make sure the property/project is free of loans or other legal obligations, we provide written documentation translated into English, we ensure that your obligations in relation to the “imposta di Registro” (stamp duty) and “Catasto” (land registration ) is reduced to a minimum. We make sure that the transaction at the notary is done smoothly and in general we take care of all the practical matters related to the implementation of the deal. We charge a fixed fee of € 10.000,00 for our services. Buying a house has to be a very safe process for me as well as a good investment. 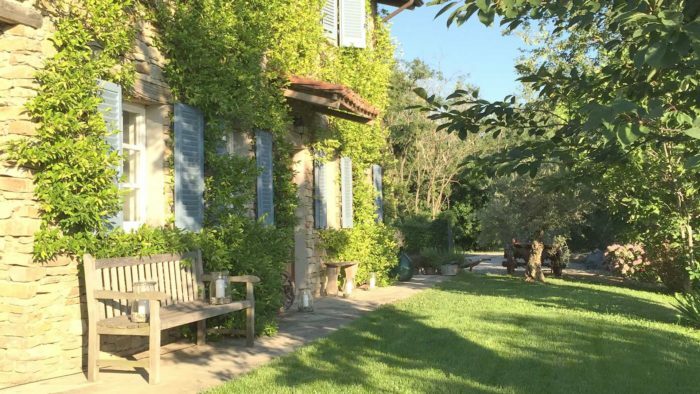 We had been looking for a house in other areas of Italy for quite a while without finding exactly what we were looking for. Then I saw Jesper's homepage and that was the start of our adventure here in Piemonte. Jesper found our house and together with his English administrator they supervised the renovation. We had no major issues during the many months of the renovation and we felt safe all the way. Jesper and his network has thus provided the safety and local experience that we needed. I am sure that I have made a good investment as well. I have already received some offers on my house, which is a fair bit higher than what we have paid. However we are not interested in selling. 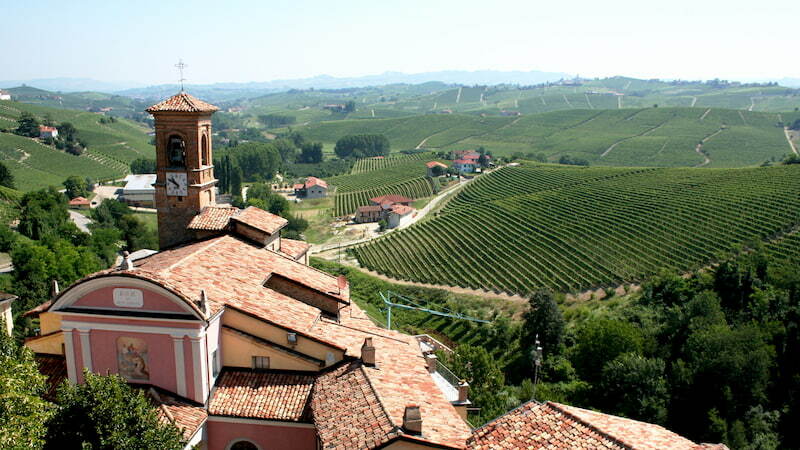 For me and my family, the adventure here in Piemonte has just begun. We owe that to Jesper and his team! We are 4 families who has bought a house together. That in it self is a huge challenge. Jesper found our house and it has been a fantastic experience ever since. The renovation took a bit longer than expected, but overall we have been very pleased with everything. We are more than happy with the end result and the house has been used nearly every weekend since it was finished. We love coming here, the food, the wine, the nature and the fantastic friendly people. It is such a pleasure and very relaxing and there are also some great golf courses. We will recommend Jesper to anyone! I was very skeptical in the beginning, because you hear so many stories. Looking back I have to say that we are more than pleased. The house that Jesper found us was exactly what we were looking for. Great views and no neighbors. The renovation was on schedule and it was done within the budget. It was only because we got a bit carried away and changed a few things, that we ended up overspending a bit. Not only has Jesper introduced us to his local network, but because he knows the area so well, he has also shown us the area and told us where to find the best restaurants, wineries, local markets etc. Working with Jesper has been a real pleasure and I can only recommend that you contact him. The sooner the better. If Jesper had not been living permanently in Piemonte, I would never have bought a house that needs a total renovation. I am extremely busy with my business so I need a local guy I can trust who has the experience and the passion for the old stone houses. To Jesper and his wife Marianne, this is not only a business, it is also their passion. I deeply respect that and I am confident that we will have a great working relationship through the coming renovation process. The project that Jesper has found has the best possible location with excellent views and we are so excited to start the renovation. With Jesper, his wife and the local network, it can only be a success! In 2014, my wife and I decided to realize our dream project, a house in Italy. We had decided on the northern part due to logistics and weather, otherwise we were flexible. By lucky coincidence, we established contact with Jesper and Santino and in a quick process found a beautiful plot with 360 degree views over the rolling hills and, on a clear day, a view of the mountains. We worked closely with the team on a design matching our needs and signed finally January ’15. Thru close cooperation and with a monthly visit our house was finished in April ’16, garden still outstanding though. Three years later, I look back at a process built on trust, a wonderful house in perfect quality that was built (almost) on time and (almost) on budget. Deviations were probably self-inflicted. “La Casa sulla Collina” (the house on the hill) close to Cassinasco is all we ever dreamt about ?